A BEAUTIFUL MOUNTAIN & VIEWPOINT ARE TWO SIDES. ROYAL PROJECT IS A NEW LIFE OF GOOD PROJECTS. SALE AND RENT CENTER OF LUXURY HOME, LAND, CONDOMINIUMS, TOWNHOUSES, COMMERCIAL BUILDING. - - - Select - - - TOURS IN CHIANG MAI PROVINCETOURS CHIANG RAI PROVINCE (SAFARI TOUR)TOURS CHIANG MAI HALF DAY TOURS CHIANG MAI NIGHT TOURCHIANG MAI TOUR STAY OVERNIGHT:: DOI ANGKHANG TOURTREKKING TOURS (JOIN GROUP):.TOURS MAE HONG SON PROVINCE (SAFARI TOUR) GOLF TOUR CHIANG MAI .LAM PHUN TOUR GUIDE. .;TOURS LAMPHUN & LAMPANG PROVINCETOUR SUKHOTHAI PROVINCE (SAFARI TOUR)THAI COOKING COURSE ;LAND & HOUSE PROPERTY SERVICE CENTERS IN CHIANG MAI..
CODE: HDT 001: SHOPPING TOUR - VISIT US. CENTER FOR EXPORTING HANDICRAFTS TO SELL TO THE WORLD. : THE FAMOUS HANDICRAFT VILLAGE LOCATED ON SAN KAMPHAENG - BOR SANG ROAD CHIANG MAI THAILAND. CODE: HDT 002: CHIANG MAI TOUR - TOURISTS WILL ENJOY THE SHOW FUNNY AND CLEVER ANIMALS. : 15 KM. FROM CHIANG MAI TO SNAKE SHOWS / MONKEY SCHOOL / BUTTERFLY FARM AND ORCHID FARM. CODE: HDT 007: ATV : ..
CODE: HDT 010: CHIANG MAI TOUR - TOUCHING THE TIGERS AT TIGER KINGDOM : SOMETIMES LOVED, OFTEN FEARED BUT ALWAYS ADMIRED. TIGERS ARE ONE OF THE MOST INTERESTING. CHIANGMAI ZOO History Zoological Park Organization under the Royal Patronage of H.M.The starting of Chiangmai Zoo was quite an interesting story, GIANT PANDA Thailand celebrates the first birth of Giant Panda cub from artificial insemination, CHIANGMAI ZOO AQUARIUM The Chiang Mai Zoo Aquarium is certain to become a landmark destination in Thailand -- an international attraction to be proud of, certain to capture the hearts and minds of tourists from far and wide the biggest and largest under water world in Asia, & CHIANGMAI ZOO ANIMALS SHOW. TOUR INCLUDES: ENGLISH SPEAKING LOCOL DRIVER, GASOLINE. "High light of zoo"Thailand celebrates the first birth of Giant Panda cub from artificial insemination. Baby panda offically named "Lin Ping"
Chiangmai Aquarium in length marine section to be the largest in Asia. It is expected to attract at least one million foreign tourists each year. The WORLD THAI GEMS GALLERY is situated in four major cities Chiangmai. You should travel with the only licensed tourism company to get the lawful protection. Chauffeur service with a local driver. With expertise in the path and insurance. Van ultimate power on the mountain. The driver of good sitting professional path has 10 seats. Four-wheel drive vehicles. Sit comfortable and safe ride to 6 seats. History Zoological Park Organization under the Royal Patronage of H.M. The starting of Chiangmai Zoo was quite an interesting story. In 1952, Mr. Harold Mason Young, an American missionary started a private animal collection at his home in Chiangmai and open it to public as the very first private zoo in the country. 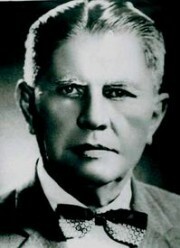 Mr. Young’s growing animal collection began to be a nuisance to his neighbors, therefore he applied for a permission to use a piece of land on the foothill of Doi Suthep (now became part of Chiangmai University) to keep his animals and reopened his zoological park to public on April 6, 1957. Mr. Young’s zoo had been opened until he passed away. Later, City of Chiangmai realized that Mr. Young’s zoological park is important to the people of Chiangmai and adopted it under the city’s operation. In 1977, Chiangmai Zoo has been moved under ZPO administration and became the third government zoological park on 531 raii (210 acres) of foothill land.. 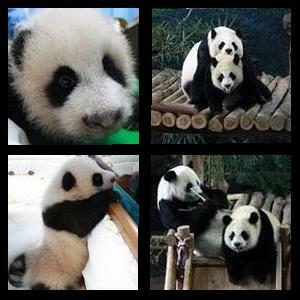 Recently, Chiangmai zoo received a pair if giant panda from China and they have become the star of the zoo. Chiangmai, Thailand, May 27, 2009. Sophon Dumnui, Director General for the Zoological Park Organization (ZPO) Under Royal Patronage of H.M. the King announced at Chiangmai Zoo, home of the only pair of Giant Panda, that the -first ever- panda cub was born from artificial insemination procedure performed February 17 , 2009. Pregnancy took 97 days and the healthy baby was delivered on Wednesday May 27 , 2009 at 10.39 AM. A veterinarian holds Lin Ping, a 76 day-old panda cub, at Chiang Mai Zoo, August 11, 2009. 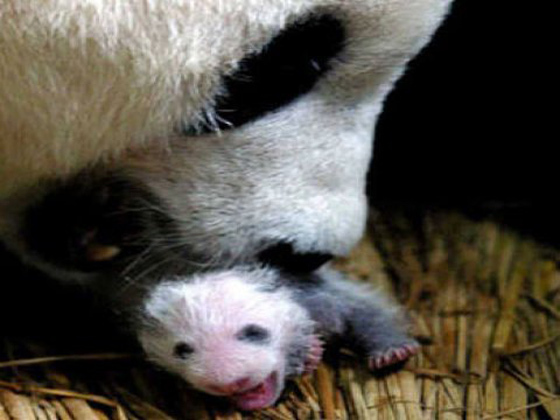 The panda cub is born at the zoo to its mother, Lin Hui. Baby panda offically named Lin Ping The cub born to giant pandas Xuang Xuang and Lin Hui, which are on loan from China, has been officially named Lin Bing.The name Lin Bing was chosen from four names short-listed by judges from thousands of suggested names. The other three names were Ying Ying, Tai Jin and Kwan Thai.The name Lin Ping received the most votes from the public, according to Thailand Post. Around 22 million postcard-votes were mailed in. Lin Ping received 13.2 million votes, or about 60% of the total votes sent in on postcards, followed by Kwan Thai with 3.9 million votes, Tai Jin with 2.9 votes and Ying Ying with 2 million votes. The name Lin Ping is Chinese for "a forest of ice." The word bing is very similar in Chinese pronunciation to "ping", the name of Chiang Mai's major river. Lin Bing was born on May 27 this year. Seal show time table Weekday 1. 10:30 am 2. 14:30 pm. Weekend and special day 1. 10:30 am 2. 13:30 pm 3. 15:00 pm. The world’s largest 600 million-baht tunnel aquarium, displaying more than 250 species of aquatic animals and plants, is expected to open at the Chiang Mai Zoo in October. 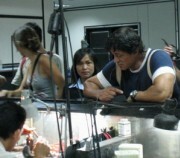 Annual profits are expected to reach a staggering 15 million baht.“The aquarium building consists of a 2,000 square meter hall which is connected to a 133 meter long tunnel. The whole aquarium is 800 meters in length and can hold up to 1,000 tourists at a time,” said Mr. Roj Thuwanalin, the Executive President of Marinescape (Thailand) Ltd., Co. According to Mr. Nareuthut Jareonsethasil, Vice Executive of Marinescape, the aquarium is divided into 2 sections; the fresh water section is claimed to be the largest in the world and the marine section to be the largest in Asia. It is expected to attract at least one million foreign tourists each year. Living under fresh water, amazed by exciting adventure of Amazon. Discover the unseen fresh water creature, such as "Paradise Fish", the "Arapaima",and also the "Golden Salmon". 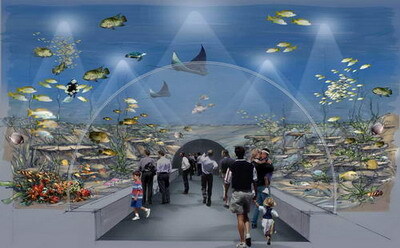 Enjoy with all species of fish more than 20 species. Flood Rain Forest, where swollen rivers bring abundant life to the surface. The biodiversity of the planet’s immense rain forest is fascinating. As rainfall increases during the monsoon season, the rivers and tributaries that flow through rain forest split over there banks, enabling the residents of the river to expand their territory. Deeper into forest. The Flooded Rain Forest exhibit at Chiangmai Zoo Aquarium offers an exciting look at the tropical rain forest similar to the Amazon jungle land highlights the astonishing aquatic life inhabiting the rivers that flow through them. Weekday 9:00 am - 5:00 pm. Weekend 9:00 am - 5:00 pm. HANDICRAFTS IN CHIANG MAI The famous Home Industries Sankhampaeng / Borsang Road. Umbrella and parasol village, manufacture silk and cotton umbreallas and paper parasols which are subsequently hand painting in various animal and floral designs Umbrella making Formerly made as offerings to the monasteries,the beautiful hand-made umbrellas of Bosang Thai Silk We specialize in manufacturing and exporting of pure hand woven Thai Silk. Silverware Chiangmai is, of course, famous for the quality and profusion of its silverware Lacquerware is an ancient art form of decorating wooden (i.e.- teak or bamboo) objects with seven layers of black lacquer.Teakwood carving If you want have Bali Teak wood carving and craft and make your house more beautiful or you have hobby collection of wood carving Furniture Ideal for furnishing your island villa or condoAntiques and Art Our culture has a magnificent history of exceptional art to give you home Celadon ceramics with wood-ash glaze. Every piece is unique, being handmade and all are created with the finest artistry of the pottersLeather In Chiangmai One of the leading manufacturers and providers of gifts Jewelry Factory Your tour along the Sankampaeng Road will have convinced you that Thai craftsmen are exceptionally gifted Manufacturer and exporter of unique designed rattan furniture. CAR RENT 1,000 Baht /1 car. Tour with 1-4 Persons Service by air- conditioned CAR. Price Includes: Insurance Covered,English speaking local driver, Gasoline. VAN RENT 1,500 Baht / 1 van. Tour with 4-10 Persons Service by air- conditioned VAN. Price Includes: Insurance Covered,English speaking local driver, Gasoline. Touch the tiger cubs( Optional ). If you would like to go on a private trek or if you have your own group then please just E-mail us. Chang Klan Road Branch, Chiang Mai Thailand. Note: This information was accurate when it was published, Please be sure to confirm all rates and details directly with the companies in question before planning your trip. but can change without notice.